The defending Horizon League Champion Green Bay Phoenix opened league play with a 79-55 win over Wright State at the Resch Center in Green Bay last night. 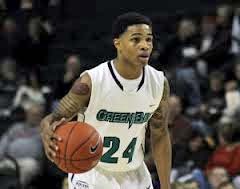 Senior point guard Keifer Sykes led all scorers with 28 points. Junior forward Jordan Fouse contributed 16 points, 15 rebounds and nine assists, falling just one assist shy of becoming just the third player in school history to record a triple-double. Senior Greg Mays, after being benched for poor play against Chicago State, returned to score 10 points and add five rebounds and five blocked shots. Green Bay (12-3, 1-0 Horizon League) shot 47.5% from the field and 40% from three-point range. Even more encouraging was the team’s performance at the free throw line. The Phoenix entered the game shooting 59% as a team, but finished last night’s game by making 15 of 21 (71.4%). The Phoenix return to action Friday night at rival Milwaukee. 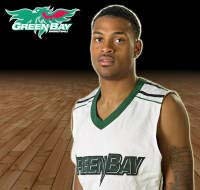 The Green Bay Phoenix improved to 5-1 with a 78-52 win over Minnesota-Duluth at the Resch Center on Monday night. The victory gives the Phoenix their best start since the 1990-91 season when they rolled out of the gates by winning the first seven games. Green Bay shot 51% from the field for the game and a season-best 54.5% from behind the arc. Senior Keifer Sykes had 18 points on 7-for-11 shooting. Sykes played in his 100th career game and has now scored 1,595 career points. Fellow senior Greg Mays added 13 points. Green Bay hits the road for two games. They’ll play Thursday night at Georgia State and Saturday afternoon at 15th ranked Miami. 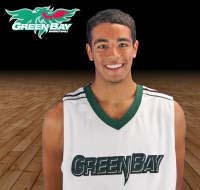 The Green Bay Phoenix jumped out to a 15-0 lead and held Florida Gulf Coast (5-1) to 27% shooting from the field, to pull out a 59-45 victory in the championship game of the Gulf Coast Showcase. Green Bay (4-1) led from start to finish in the victory. Senior Keifer Sykes had a game-high 19 points and added five rebounds, five assists and three steals to lead the Phoenix. He was named the tournament’s Most Valuable Player, averaging 17 points, six rebounds and 4.8 assists. Greg Mays finished with 12 points and 10 rebounds for his fourth career double-double. Mays was also named to the all-tournament team, averaging 12.7 points and 6.3 rebounds in the three wins. Green Bay returns home to host Minnesota-Duluth at the Resch Center on Monday night. The Green Bay Phoenix held East Carolina (2-2) without a point for the first 7:48 and jumped out to a 7-0 lead. After ECU hit a three-pointer, the Phoenix (2-1) went on a 10-0 run to go in front 17-3 and were never tested, rolling to a 66-49 victory in the Gulf Coast Classic opener in Estero, Florida. Senior Greg Mays scored a team-high 15 points and senior Keifer Sykes added 12 to lead the Phoenix. Green Bay scored 10 of the first 12 points after halftime to extend its lead to 21 and the Pirates could get no closer than 12 the rest of the afternoon. Green Bay advanced to the semifinals on Tuesday (5pm CST) against the winner of the Fresno State-Evansville game. Green Bay out-rebounding the Pirates 37-23 and held the opposition to just 31.9% from the field. The Phoenix shot 55.3% from the field in the victory. The Green Bay Phoenix men’s basketball team faces Youngstown State at the Resch Center in Green Bay without one of their top players tonight. The school announced that Sophomore Greg Mays has been suspended for three games for a violation of team policies.